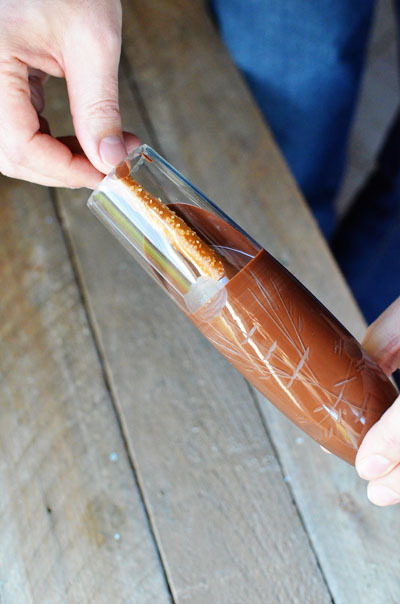 Chocolate pretzel rods are fun and fabulous DIY wedding favors. They’re easy to make and perfect for brides on a budget. The key to great tasting chocolate pretzel rods is to not cheap out on the chocolate. 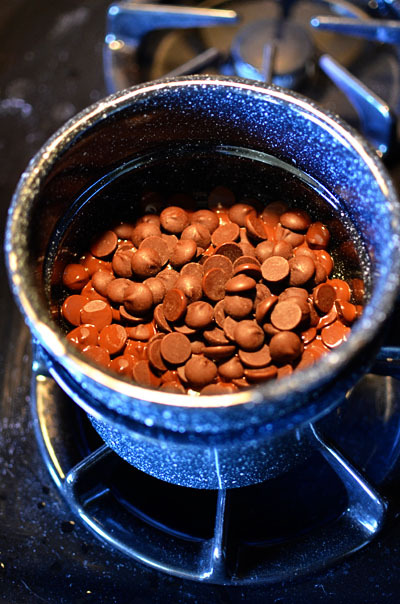 I used Ghiradelli semi-sweet chocolate chips . Also, to ensure freshness, I wouldn’t make these more than a few days before your wedding. 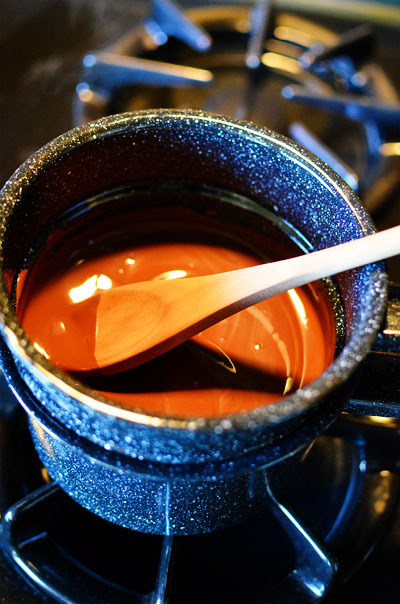 Place chocolate in a double boiler and melt. 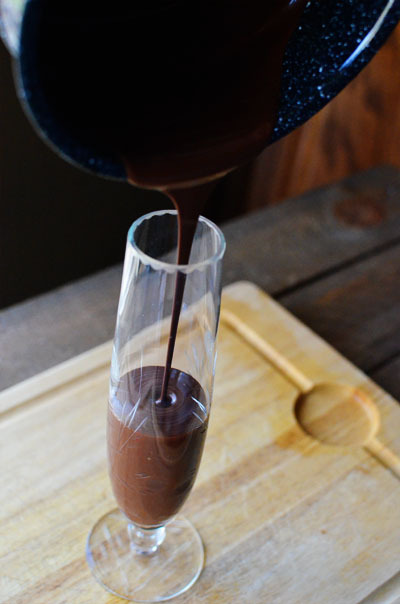 For easy dipping, find a tall glass or vessel in which to pour your melted chocolate. 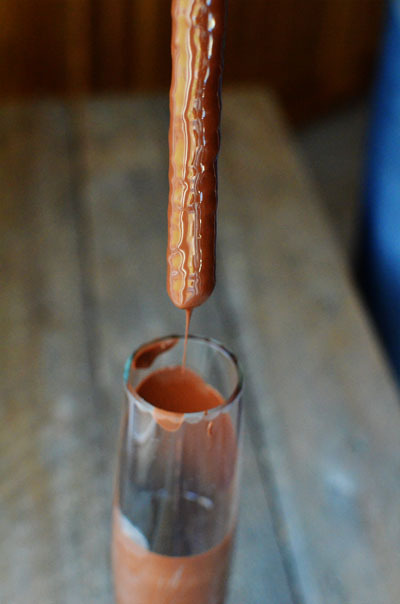 Dip pretzel rod into chocolate, leaving about an inch at the end. 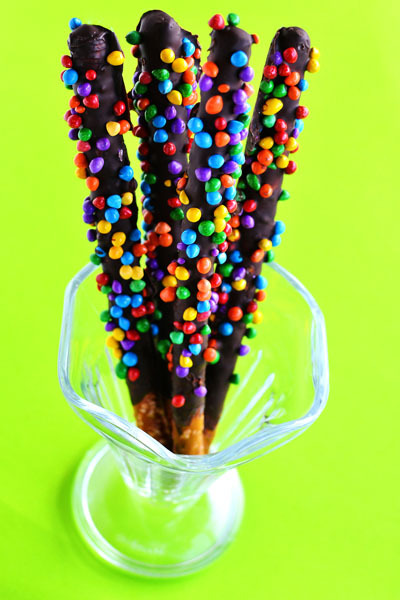 Let excess chocolate drip off of the end of the pretzel rod. 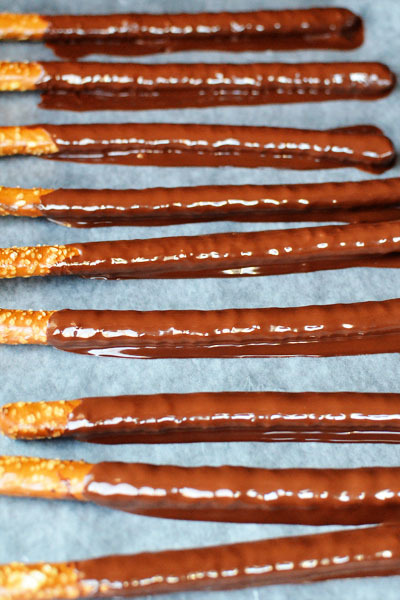 Place chocolate pretzel rods onto a wax paper lined baking sheet. The chocolate will pool underneath it, creating a flat side to the pretzel. 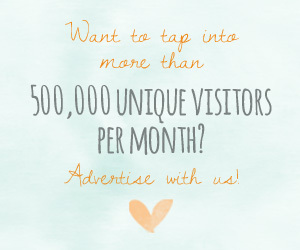 This is normal and nothing to fret about. Also, you can shave off any excess chocolate with a knife once it has set. Add chocolate sprinkles or nuts. 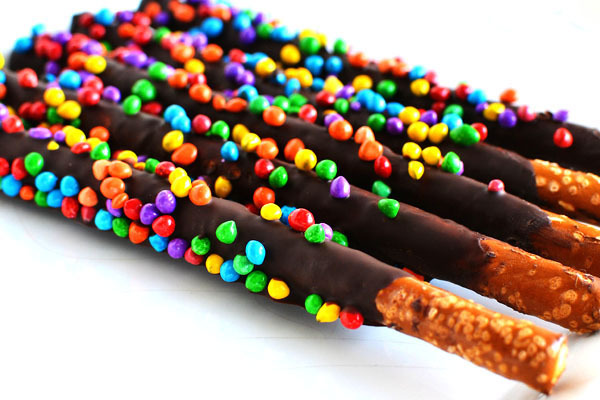 I brought the chocolate pretzel rods outside into the cold air and let the chocolate set just a wee bit before I added the sprinkles, that way the sprinkles didn’t slide off the top. You can also drizzle them with white chocolate, but make sure you let the semi-sweet chocolate set first. If you are giving these as wedding favors, simply place inside a cellophane bag and add a tag.